With bitcoin’s move today to 4.5-month highs near $5,080, the transition from bear to bull market appears done and dusted. The trend change would gain credence, though, if and when BTC finds acceptance above the former support-turned-resistance of the 21-month exponential moving average (EMA), currently at $5,200. The cryptocurrency is looking overbought as per the 14-day relative strength index, so prices may have a tough time breaking above $5,200 in the near-term. Bitcoin could see a pullback to $4,400 if signs of bullish exhaustion increase in the next few days. After today’s breakout, bitcoin (BTC) now needs to move above crucial resistance near $5,200 to solidify the case for a longer-term bull market. The world’s largest cryptocurrency by market capitalization crossed the last bearish lower high of $4,236 (Dec. 24 high) at 04:30 UTC Tuesday and jumped to $5,080 – the highest level since Nov. 19 – confirming a transition from a bear to a bull market. 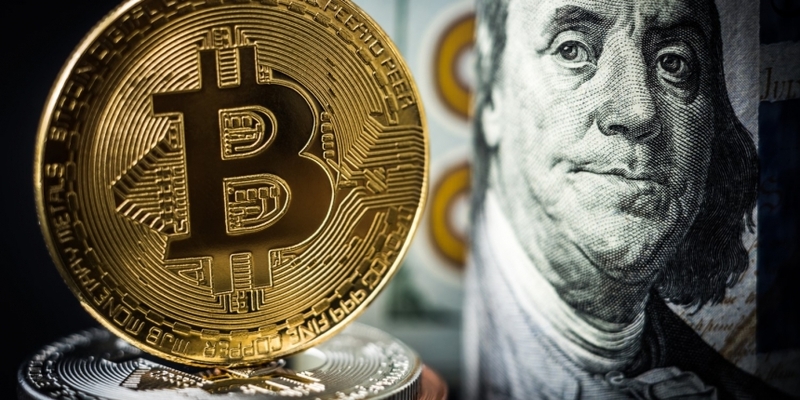 The rally to a 4.5-month high was accompanied by a surge in 24-hour trading volumes to above $15 billion – the highest since mid-January 2018, according to CoinMarketCap. The bullish reversal, therefore, looks sustainable. Further, the spike witnessed today has reinforced the positive trend change signaled by both the weekly moving average convergence divergence (MACD) and the money flow index a few weeks ago. While the path of least resistance is now to the higher side, the bulls now face taking out the former support-turned-resistance of the 21-month exponential moving average (EMA), currently lined up at $5,200. The persistent defense of that average support in the five months to October 2018 had triggered hopes of a strong bullish move. More importantly, a convincing break below that technical line on Nov. 14 invited strong selling pressure. So the bulls need to force a convincing break above the 21-month EMA before claiming a complete victory over the bears. As of writing, bitcoin is changing hands at $4,800 on Bitstamp, representing a 15 percent gain on a 24-hour basis. Other major cryptocurrencies like ethereum’s ETH token, XRP and EOS are up at least 5 percent each. Meanwhile, names like litecoin, cardano and monero are flashing double-digit gains. As seen above, BTC’s move above $4,236 has activated twin bullish cues: A bullish higher high and a triangle breakout, both confirming a bearish-to-bullish trend change. The 5- and 10-week moving averages (MAs) are also trending north, indicating a bullish setup, while the relative strength index (RSI) is probing the former support-turned-resistance of 53.70. A break higher would further strengthen the bullish case. BTC came close to testing the 21-month MA, currently at $5,200, earlier today. A monthly close above that average would solidify the bullish reversal and encourage further buying, possibly leading to a move above $6,000. A break above the 21-month EMA, however, may remain elusive for a few weeks, as the cryptocurrency is looking overbought on shorter duration charts. On the daily chart, the 14-day RSI is at 86.00 – the highest level since December 2017. The overbought reading would gain credence if the cryptocurrency creates bullish exhaustion patterns (e.g. doji, bearish engulfing, or inverted bearish hammer candles) in the next few days. In that case, prices could fall back to $4,400 (Nov. 29 high) and consolidate for a period.